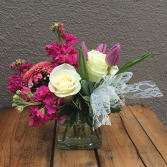 A low and lush arrangement in soft peachy pinks and whites in a glass cube. Flowers include hydrangea, roses and tulips. 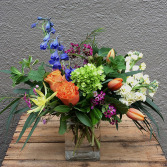 A garden style arrangement with vibrant spring colors and fun textured greens. 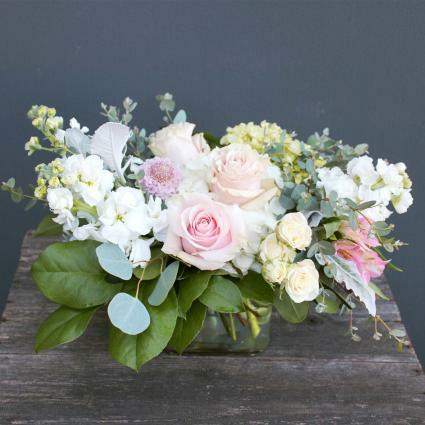 An arrangement of pinks and whites with flowers including roses, gerbera daisies, tulips and stock. With a lace ribbon accent.